Near future. Countless seasoned gamers, and the release of what can be called the peak of virtual reality. This is the inception of Nerve Gear, a technology that allows its users to play in a video game as though experiencing real life. As players put it to the test, everything tumbles down when the Game Master locks them up in the virtual world, and dying in the game equals the player's demise in the real world. But here steps in the charismatic Kirito, determined to beat Sword Art Online. From here begins an adventure that promises trials, hardship and danger... or does it? 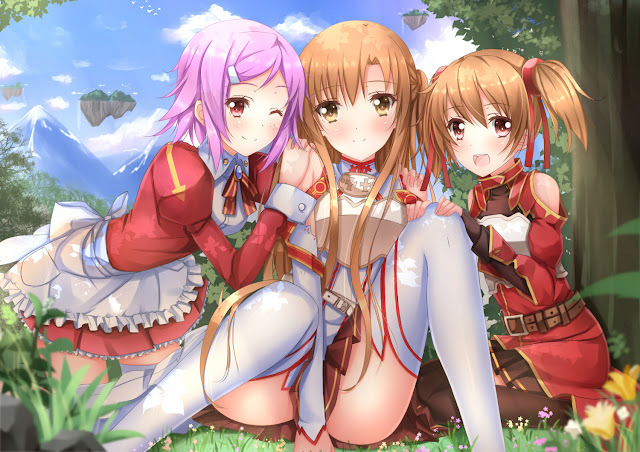 MMORPGs are the cradle of fond memories for many gamers around the world. Not a single experienced player can talk about the nostalgic hours spent in online games without mentioning the fun time spent slaying monsters for long and restless nights in order to gain exp points. Analysing the economy to get wealthier, or simply working one's fingers to the bone to get some well-deserved money. And what to say of the hardships that were overcome and caused the birth of countless, unfaltering friendships? 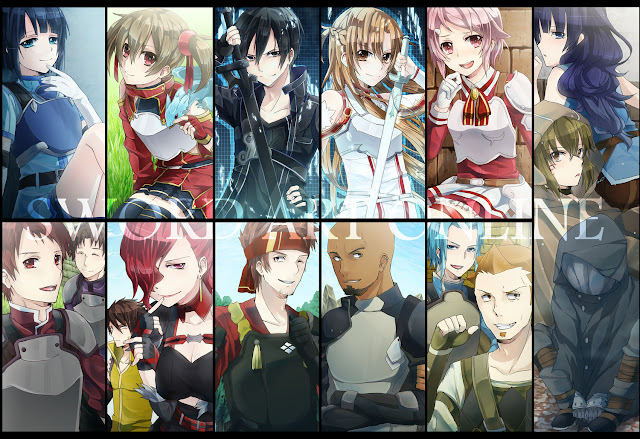 Unfortunately, none of this accurately describes Sword Art Online. 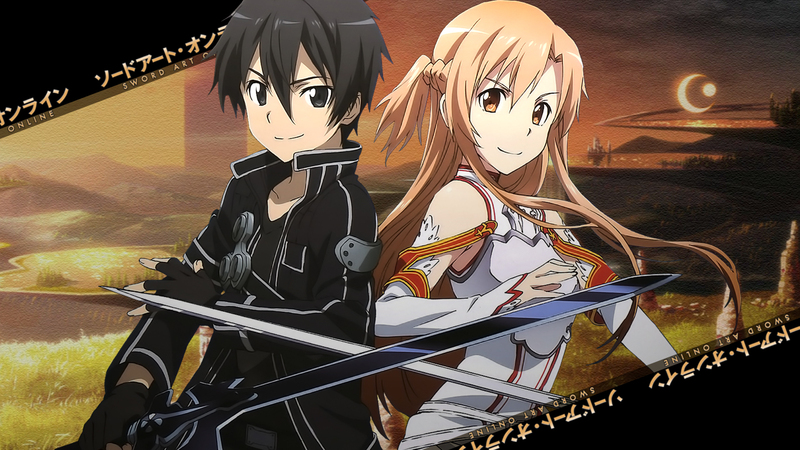 Sword Art Online is the respected player-killer that never trained a single night. It is the successful businessman that never invested a single penny. And naturally, the best friend you never actually spent meaningful time with. But remember when you were a child; was there really no game for which the 'Game Over' screen showed up so often you stopped tolerating it? After all, isn't it an unwavering truth that many of us also had fun using one or two cheat codes at times? – or so would say the author... little did he know, you grew up since that time. But just where is the issue – lack of character development? Certainly not, Sword Art Online has plenty of it. In fact, here lies this anime's downfall: character development just doesn't work when it is expedited. Sword Art Online begins with Kirigaya 'Kirito' Kazuto, and although with a slight advantage at the start, he is much of what one would expect of a normal player. Wouldn't it be a wonderful character development if our protagonist ended up the strongest, wealthiest player, and well-liked to boot? Well, no. When a character is shown to acquire an astounding amount of money with nothing even hinting at the process that permitted it, this is failing to satisfy even the most basic storytelling conventions. 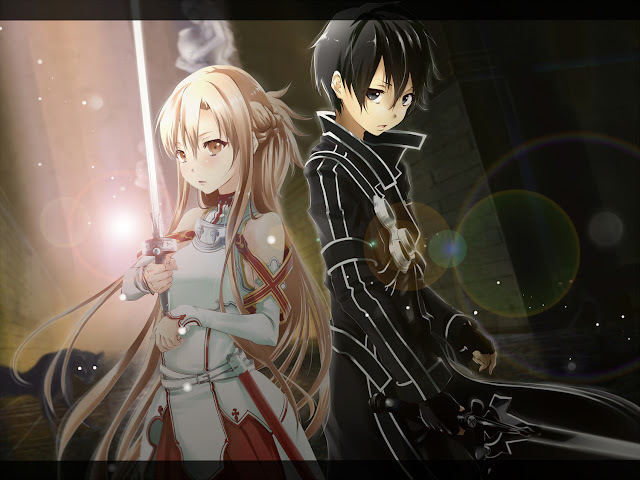 In the same way, the two main characters come to be the server's top players. Was it through hard training? Scarcely. Long trials of stunning difficulty? Nay. The characters became the most powerful players through... time skips. When a mere time skip acts as the trigger for change in a character, no actual merit is achieved, save for perhaps self-insertion, whose interest is akin to the usage of cheat code: insipid and no better than fanfiction writing. And what better way is there to ruin such an interesting premise – the concept of real death in a video game – than making the protagonist so powerful that he never has to face perilous situations? To use shortcuts in a characterisation is one thing, though; to make it incoherent and disjointed is yet another. And the series manages to achieve both at the same time. 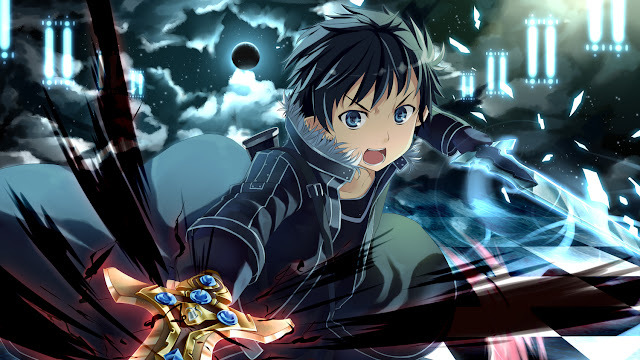 Kirito, as the protagonist is called in the game, often experiences sudden and unexplained changes, which are sometimes quickly negated for no better reason. 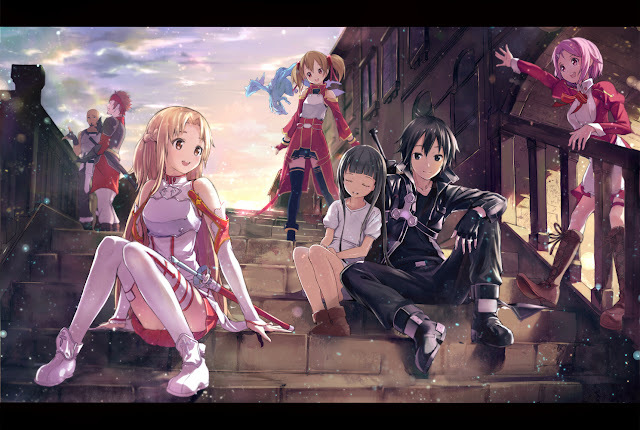 One could remember how Kirito often claims to be a 'solo player' and sometimes is depicted as such, yet is also shown playing with other people for the sole sake of socialising. Or, for example, how he starts out consistently depicted as being reserved and bland for a significant amount of screen time, yet abruptly decided to become a scapegoat and save other players he doesn't know with a remarkable boldness: not only was no psychological justification ever given for the character's change, it was also entirely forgotten in the next episode, following a substantial and convenient time skip – again. To top it off, the plot suffers from the same flaws as the characterisation. 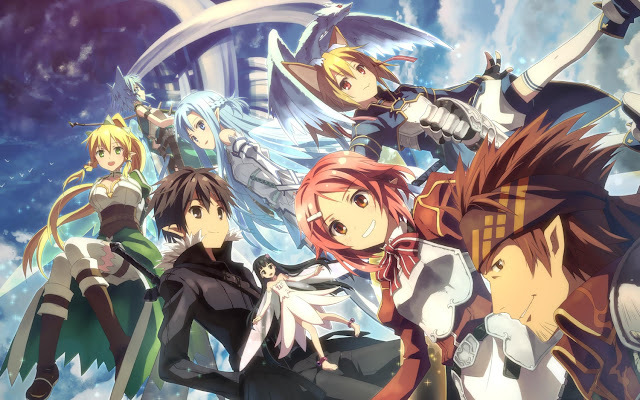 Perhaps even more than the characters in it, in fact, the storyline is riddled with inconsistencies and conveniences. While much of this anime's intended strength should be dramatic impact, the way the drama is woven is frightening. A considerable importance seems to be given to the death of certain characters; where the problem lies, however, is when the characters we should feel for have been introduced less than twenty minutes ago and thus lack heavily in characterisation. It is even worse when the reason of their death amounts to pathetic conveniences: the first death in the series was due to a character refusing a healing potion, even though on the verge of death. Why would he refuse it in the first place, if not to create gratuitous melodrama? Unsatisfied with delivering half-baked drama, Sword Art Online attempts to provide romance as well. But unsurprisingly, the result is appalling. 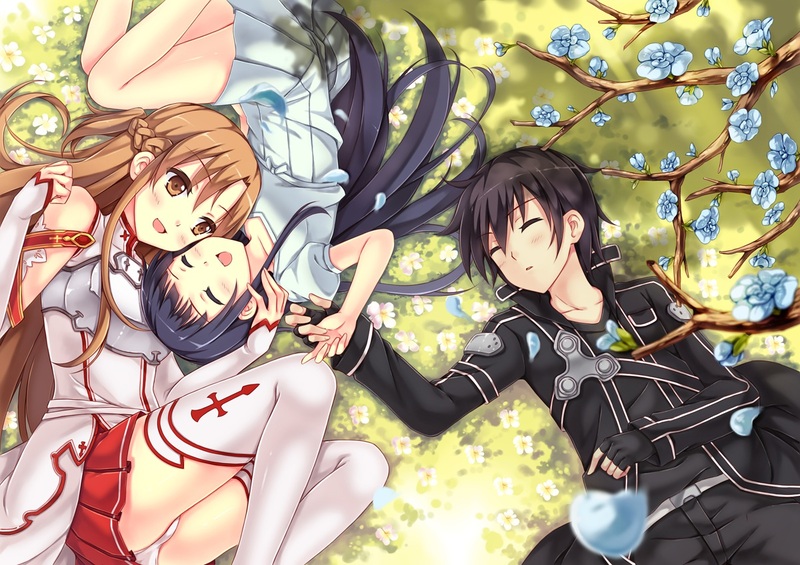 As ambitious as it seems, no fewer than five romantic relationships are developed, all involving the main character. And while a single relationship could have been a believable part of the plotline, incorporating multiple love interests only harms the focus of the story. Of course, the mere fact that five romantic subplots could coexist is sufficient to destroy any credibility, but they all manage to be disastrous even taken individually. Most of them happen within single episodes; first meeting, confession, and sometimes even death – all within twenty minutes! Naturally, spanning so little time, the only conceivable result was a revolting amount of cliché; can we really take seriously two teenagers that act all lovey-dovey even though this is the first time they met? But if the writing is poor, perhaps at least the setting is interesting; after all, isn't that synopsis promising? Not even close. 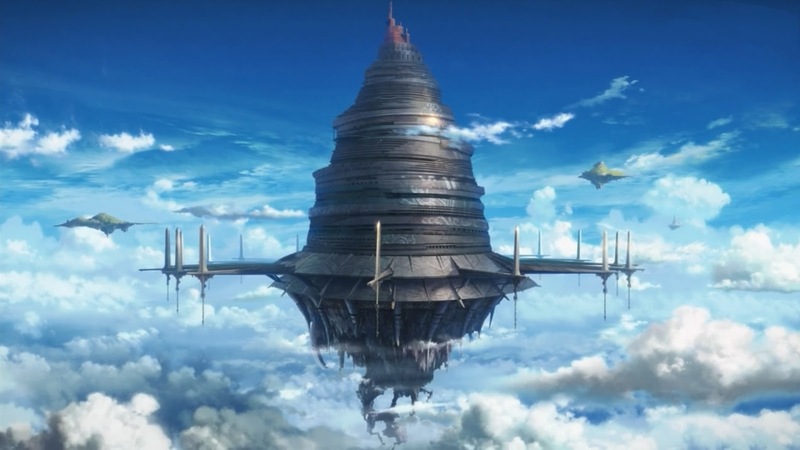 Even the worldbuilding is ruined to keep the plot moving forward, in truth. Despite the fact that virtual death is presented as one of the fundamentals of the setting, the one time the protagonist faces death in the game, he is revived (and that is long past the delay after which the audience was told the player's real body should be killed) with no element to account for this miracle. What's more, when about to be killed by the enemy and with no possible cop-out, he is saved by a character who overcomes virtual paralysis... even though no presented means exist in the game mechanics to break free from it. This is obviously one example of deus ex machina among many. Only a few times has the protagonist needed to overcome difficulties, and every time, he gets away thanks to one of his allies miraculously stepping in. And there's more! 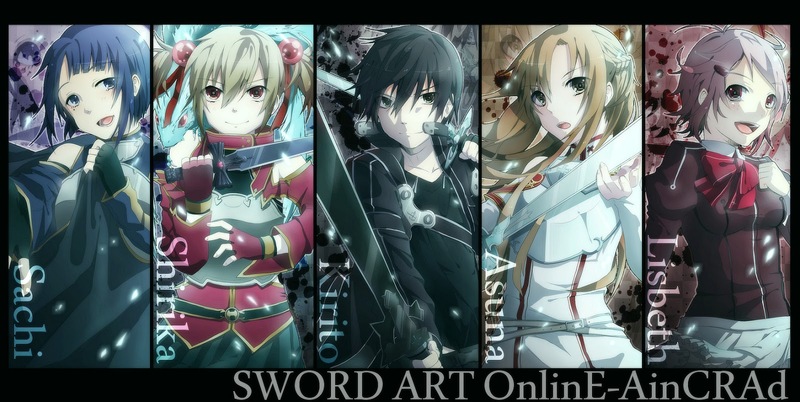 Note how Kirito's hacker skills are introduced at the exact time they are needed (and mysteriously thrown away afterwards), or the ridiculous excuse that allowed him to keep his attributes in two unrelated games (now have you ever seen a single MMORPG allowing this?). Consider how the characters conveniently forget they have a teleportation item when ambushed by other players, or how a dead character's ghost conveniently appears to give an item to the protagonist when he is in trouble, even though he could have done that a long time before. 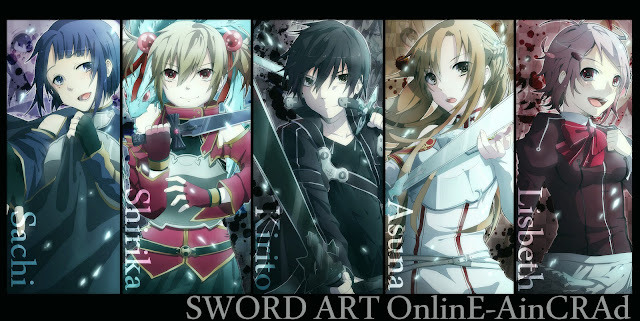 But despite the horrible story, it would be unfair to call Sword Art Online a complete failure. 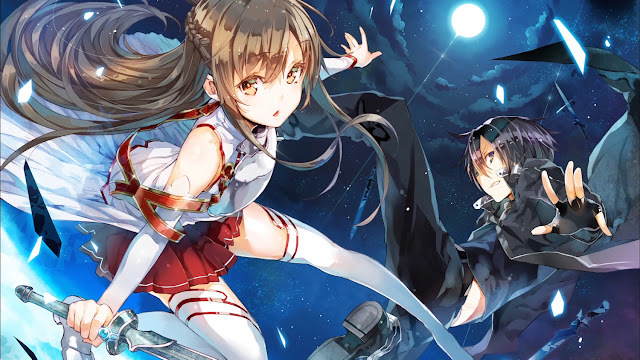 It has, for one thing, a well above average soundtrack, albeit poorly used; moreover, it could be said that the animation fulfils its role somewhat satisfactorily. The tiresome repetition of key tracks could be brought up. One could, maybe, mention the out-of-place CGI, the abuse of still pictures during the fights or the usage of distorted key frames in sequences whose framerate is far too low to afford such visual effects; but that would be picking on minor details. 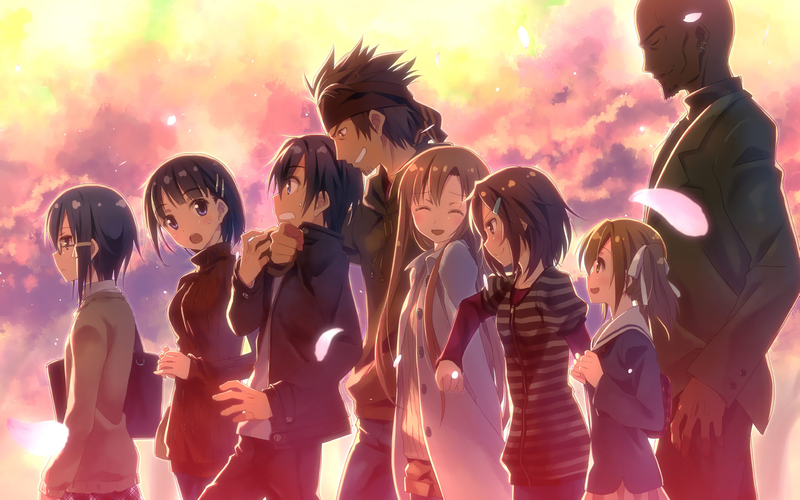 The truth is that Sword Art Online offers solid production values, and above all, it does so consistently. Any experienced gamer, though, would tell you that graphics alone do not make a game. It is especially true when the rest of the game at hand is an utter mess from start to finish. True, we have a soundtrack that serves its purpose and interesting graphics. Decent longevity as well, but above all a dreadful story and characters that no amount of eye-candy can compensate for. And all that's left is revolutionary gameplay. Oh wait. 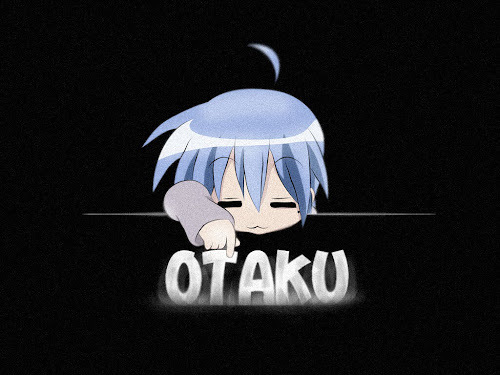 OTAKU CLUB 2012 ANIME AND GAMES AWARDS!